Smart and languid, rich and fluid, O’Donovan captains swift literate dissertations navigating renegade chamber-folk arrangements with supple couplets mustering robust poetry. Pithy descriptions slipped in winsome acoustic rhythms and heartbeat-sweetened bop, “Magic,” bundles sharp departures within swirling mermaid currents, wrapping eagle-eye observations around resonant musical tributaries rooted in honest feeling. 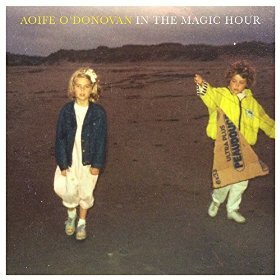 Aoife returns to Wisconsin March 31st playing Stoughton Opera House.